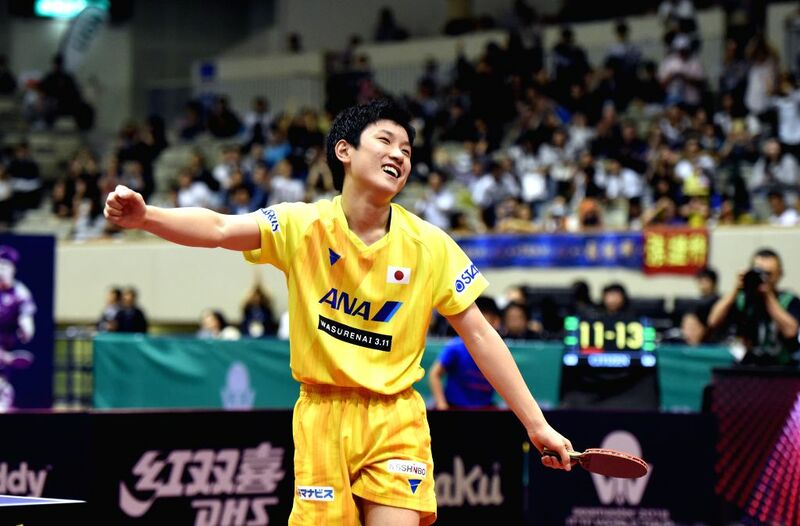 KITAKYUSHU, June 9, 2018 - Tomokazu Harimoto of Japan serves during the men's singles quarterfinal match against Ma Long of China at the 2018 ITTF World Tour Japan Open in Kitakyushu, Japan, June 9, 2018. 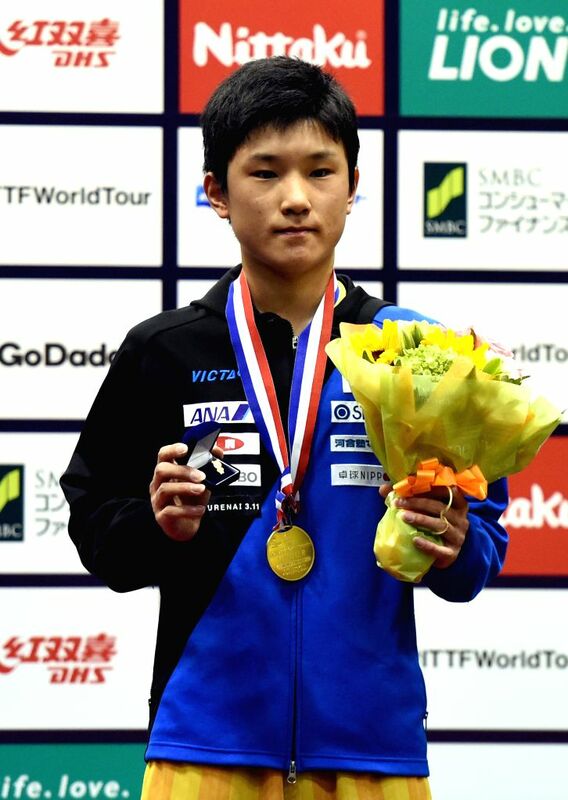 Tomokazu Harimoto won 4-2. 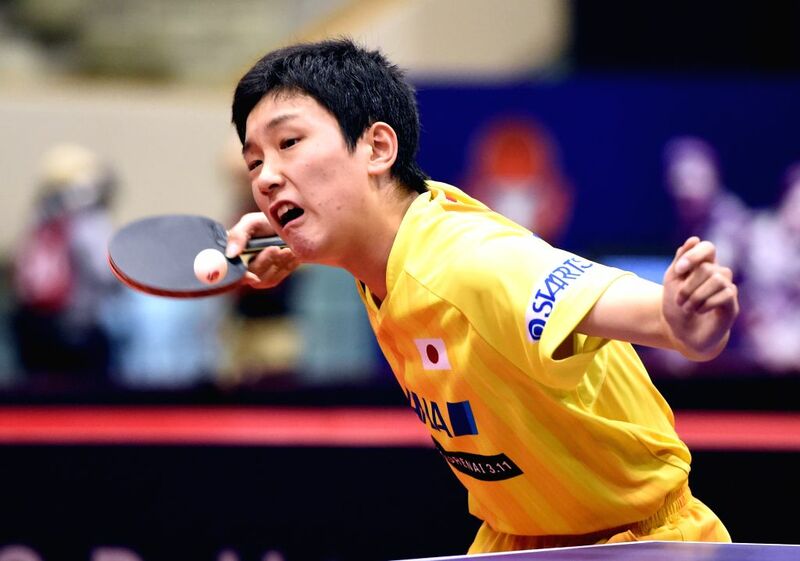 Zhang Jike of China returns the ball during the men's singles final against Tomokazu Harimoto of Japan at the 2018 ITTF World tour Japan Open in Kitakyushu, Japan, on June 10, 2018. 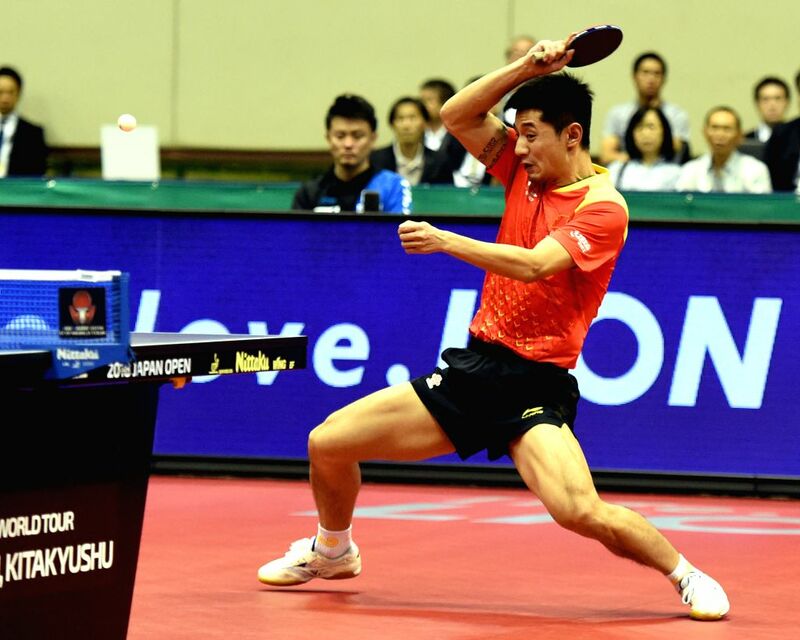 Zhang lost 3-4.